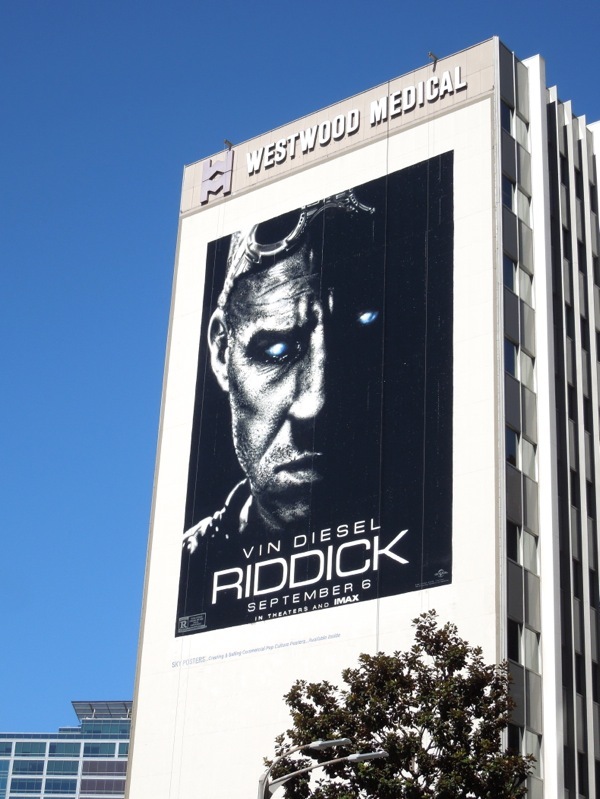 The futuristic anti-hero 'Richard B. Riddick', played by action star Vin Diesel, refuses to lay down and die, and is back for a third live-action installment of science fiction adventures set in the 28th century. 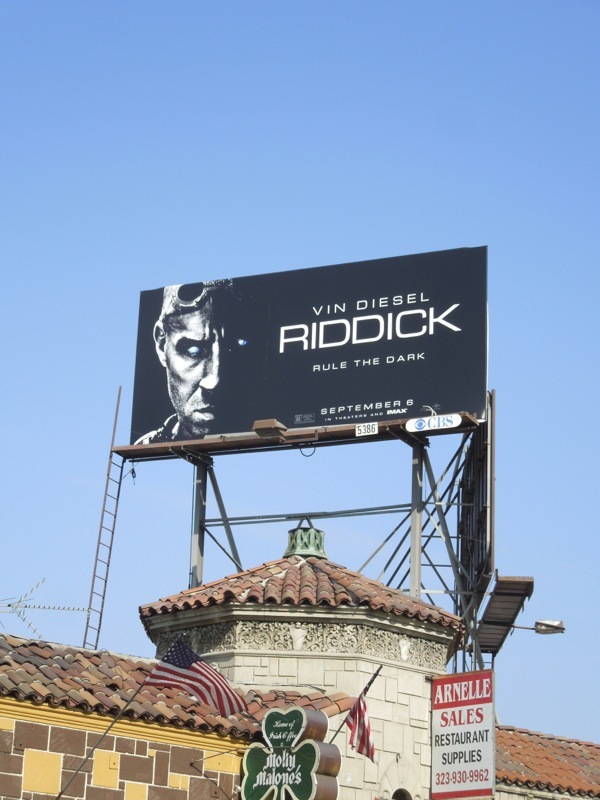 The fugitive character whose ability to see in the dark gives the upper hand in many situations first appeared in 2000's sci-fi thriller Pitch Black and later returned for 2004's The Chronicles of Riddick, which was a failed attempt to kickstart a money-making episodic franchise. 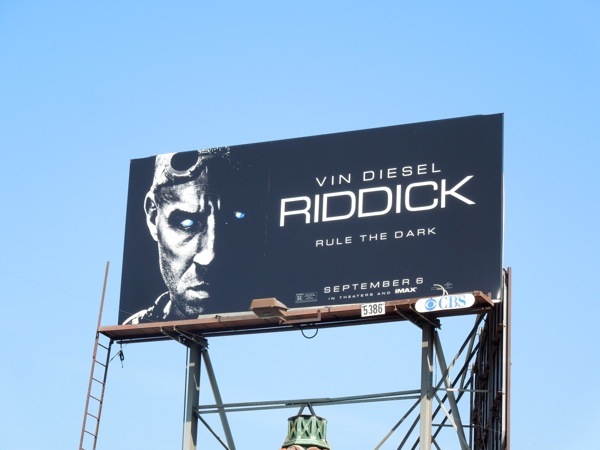 With this 'Rule the dark' ad creative it looks like it's back to basics with Riddick, as the 'Furyan' (one of the last survivors of a decimated warrior race) once again faces off against alien predators and bounty hunters alike. 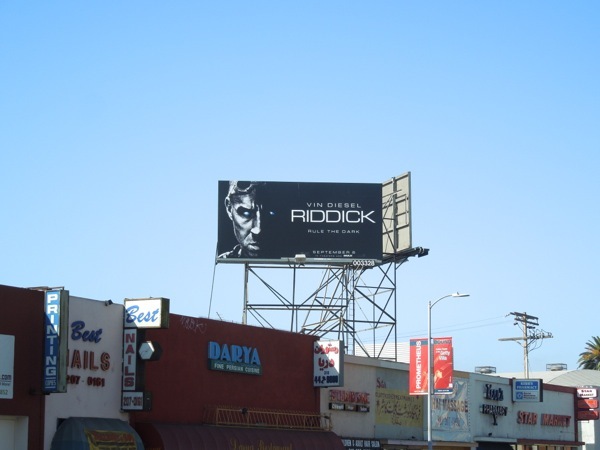 These cool movie billboards focusing on his specially enhanced eyes, which really catch your attention from a distance, were snapped along Santa Monica Boulevard and along Fairfax Avenue on August 17, 2013. 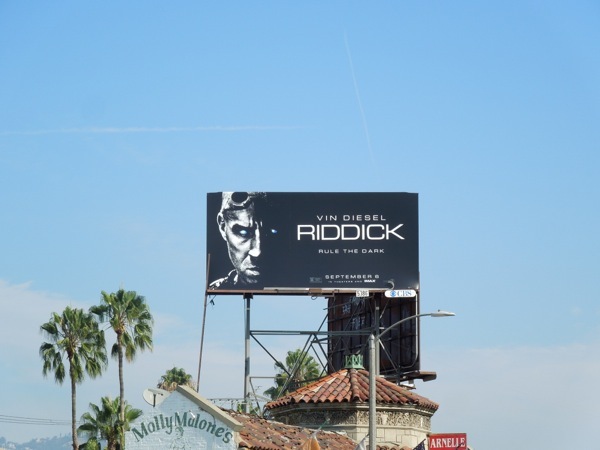 If you're a fan of the character and the universe he inhabits, be sure to also check out this original Merc Ship miniature model and Necromonger warrior costume from The Chronicles of Riddick on display. 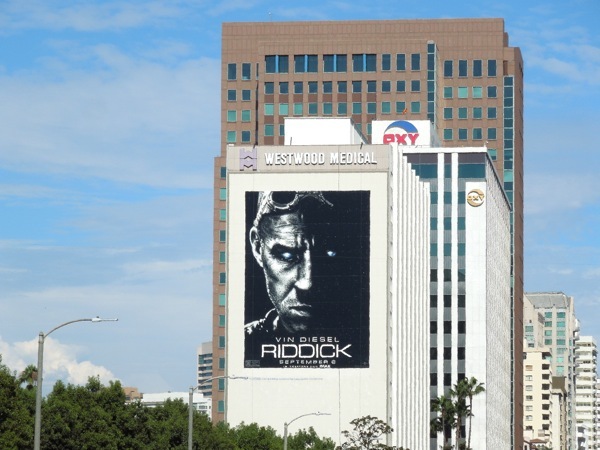 UPDATED: Now this is more like it. 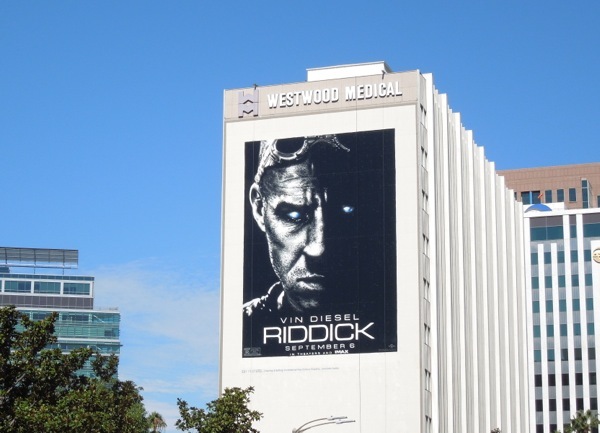 Up until now Daily Billboard has only seen small billboards to support Vin Diesel's latest sci-fi flick, but this massive ad creative for Riddick was spied along Wilshire Boulevard in Westwood on the movie's U.S. release date, September 6, 2013.